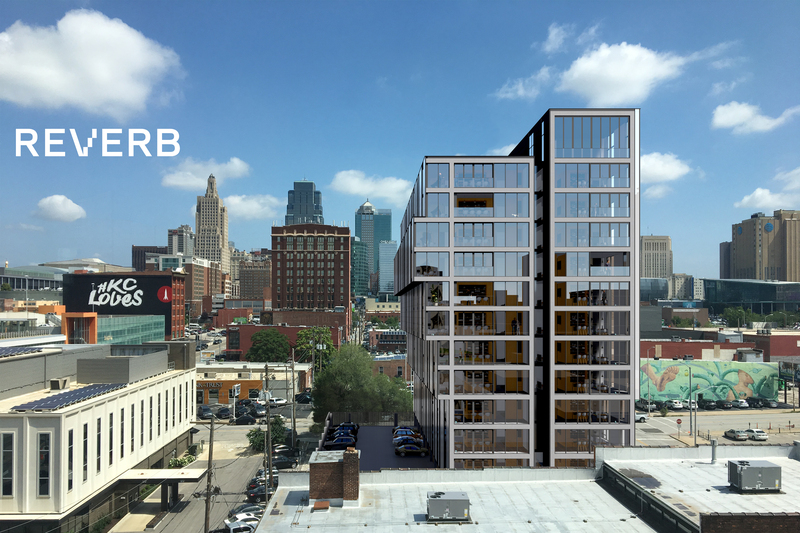 Copaken Brooks, CP Real Estate Capital and Burns & McDonnell are partnering to design and build REVERB, a distinctive apartment building at 18th and Walnut in the Crossroads Arts District in downtown Kansas City, Mo. Construction started in January with completion anticipated in the summer of 2020. 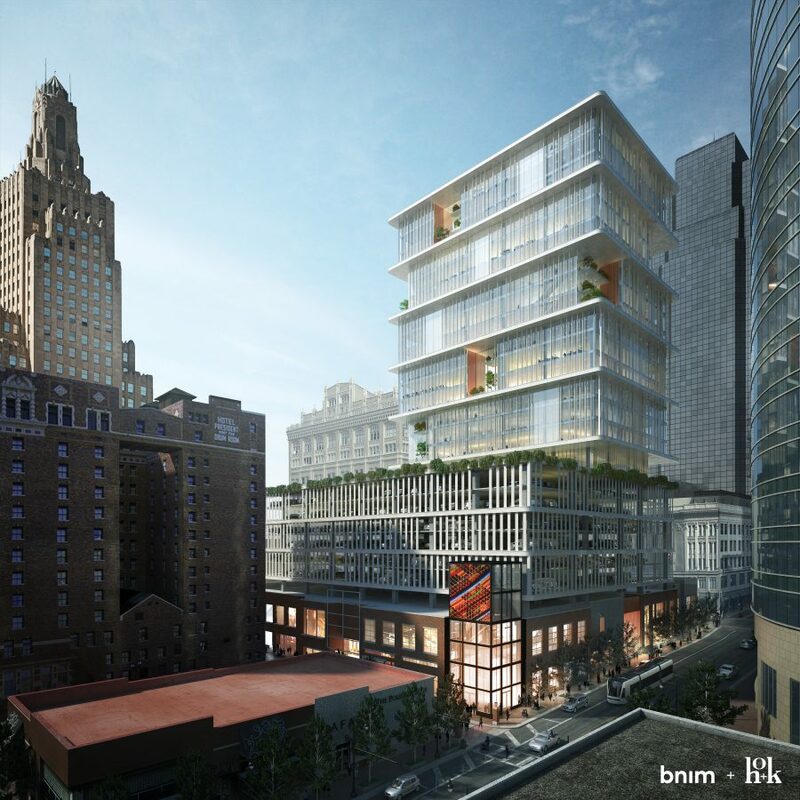 The 14-story apartment building will contain 132 units located atop a two-story, above-ground parking garage. With a commitment to make the housing economical for renters, 10 percent of the 132 units will meet Kansas City’s affordability standards. An additional 2,000 square feet of retail/other commercial space will be located on the ground level of REVERB, including space for food trucks outside and a sidewalk park. 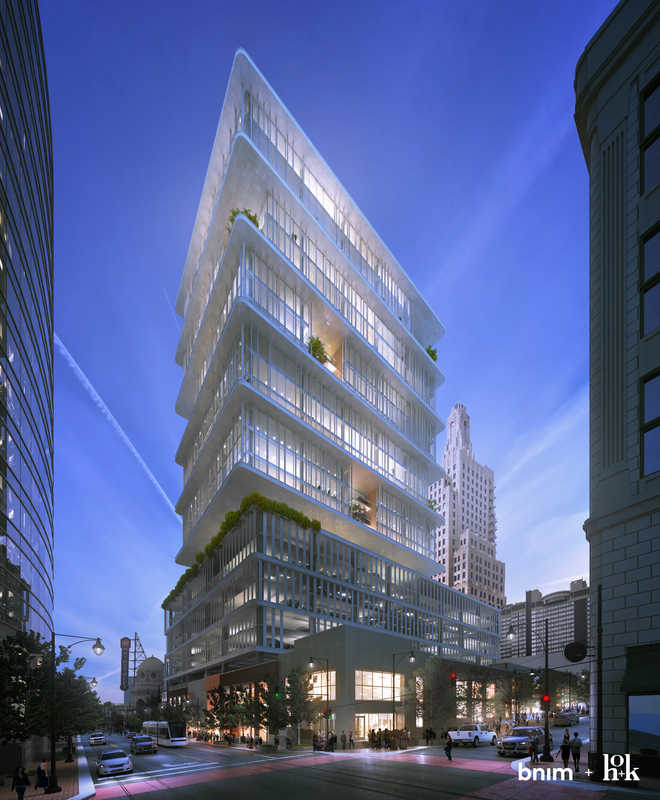 Perched above the apartment units will be a penthouse level with a public, rooftop bar and a private outdoor terrace and lounge. Learn more about the design in our Latest Section.